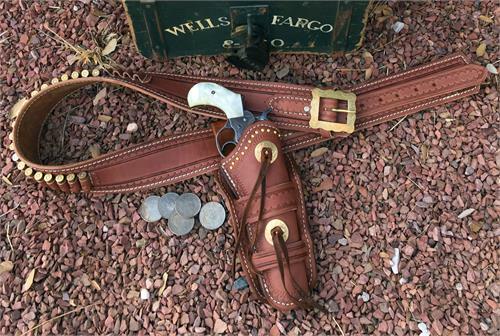 The Sundance gunbelt and holster is border tooled, fully lined and available in straight left or straight right. 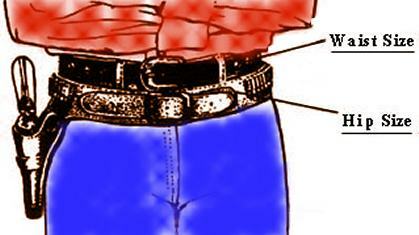 Gun belt has tooling and a fancy buckle. 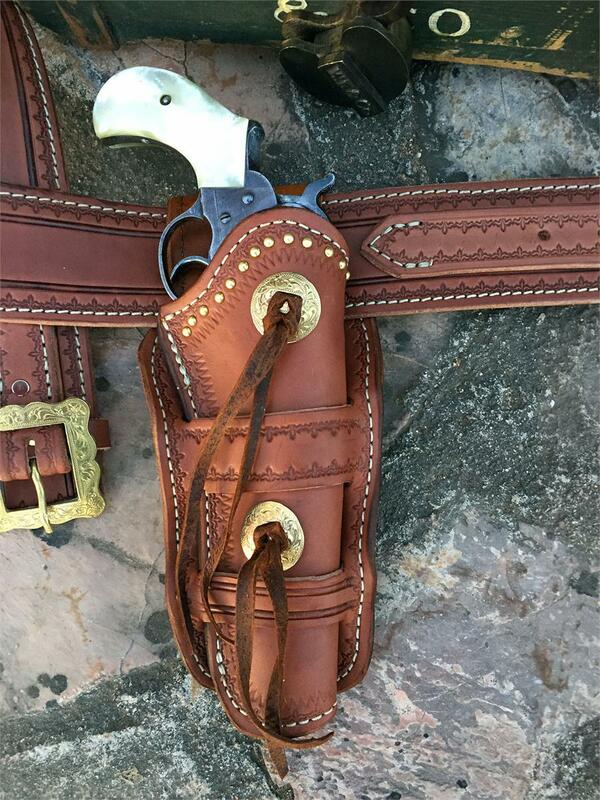 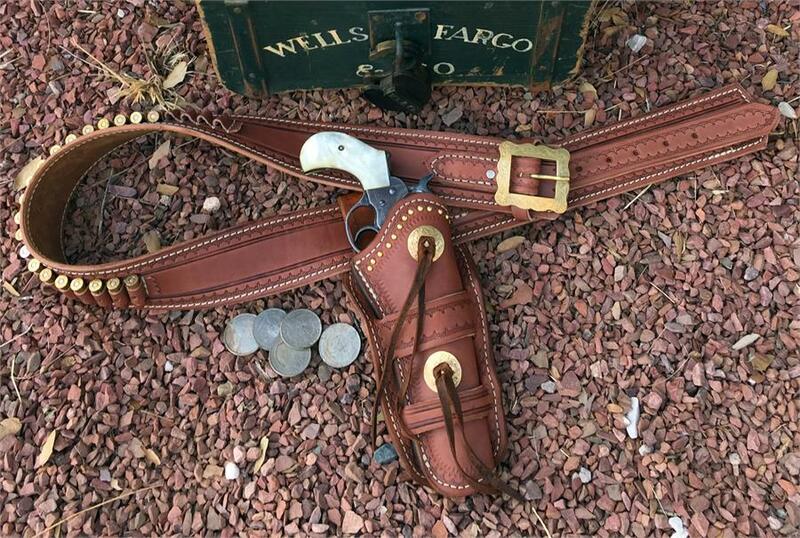 Holster has tooling, conchos and bleed knots. Conchos and fancy buckle are available in your choice of silver or brass.